Microchips secretly planted on lobster. Surveillance in the middle of the night. Court documents detail the response to allegations of black market sales linked to Canada's most lucrative lobster grounds. But not everyone thinks the scrutiny is fair. 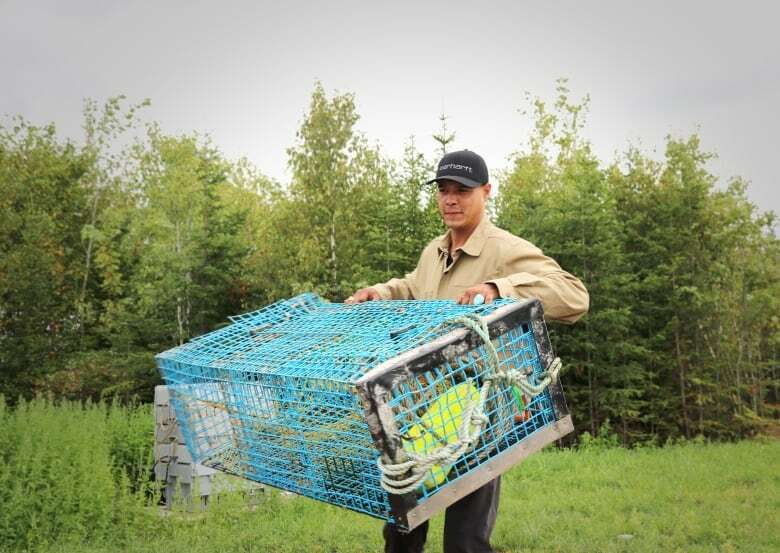 Under the cover of darkness one night last October, a pair of federal fisheries officers in a boat slipped across Nova Scotia's St. Marys Bay and began to haul up 28 lobster traps belonging to members of the Sipekne'katik First Nation. They carefully planted identifying microchips on some of the lobster inside and then dropped the traps back into the sea. The covert work, in some of the most lucrative lobster grounds in Canada, took about four hours and lasted until 2:42 a.m. 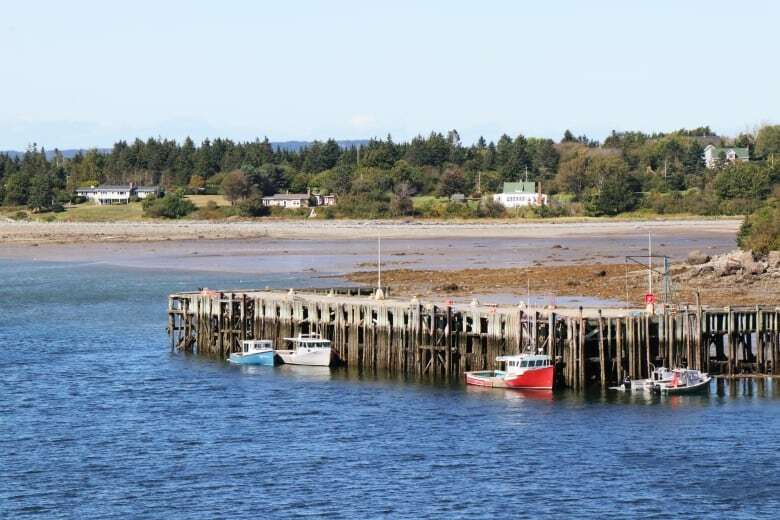 The aim was simple — to confirm allegations roiling wharves in southwest Nova Scotia that lobster being caught under Indigenous food, social and ceremonial licences was being illegally sold as part of an off-season black market. The sting operation was part of a large investigation by the Department of Fisheries and Oceans called Project Magnet, the details of which are contained in search warrant documents recently unsealed by a Nova Scotia judge at the request of CBC. The records provide the first in-depth account of the work by fisheries officers in the summer and fall of 2017 to respond to allegations of illegal lobster sales, an effort that came amid tension-filled weeks that included boat burnings, threats and protests from frustrated commercial fishermen demanding a crackdown. They show the extent of an investigation that involved more than 15 fisheries officers, surveillance work, a Canadian Coast Guard ship and inspections of 81 fish buyers along a 300-kilometre stretch of coast. It culminated in the seizure of $50,000 worth of lobster near the Halifax airport hours before it was to be exported to China. But a year later, prosecutions remain thin. 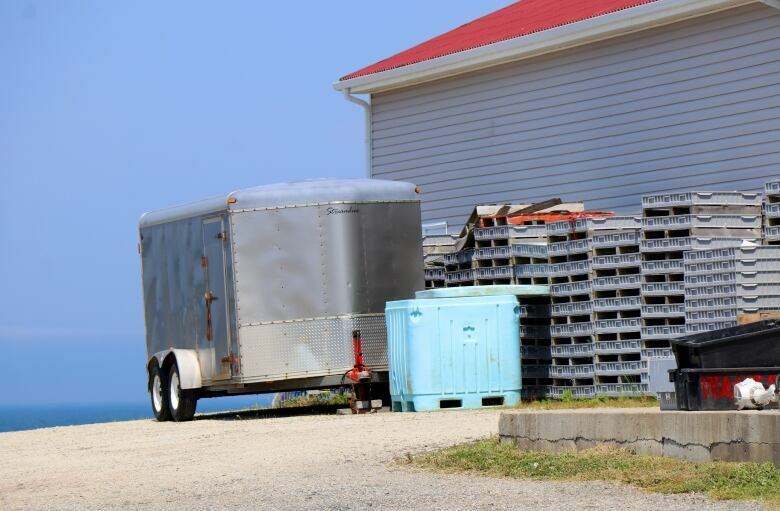 A single regulatory charge was laid this past July against a Belliveaus Cove, N.S., lobster pound, which has since cratered into receivership, and its owner. 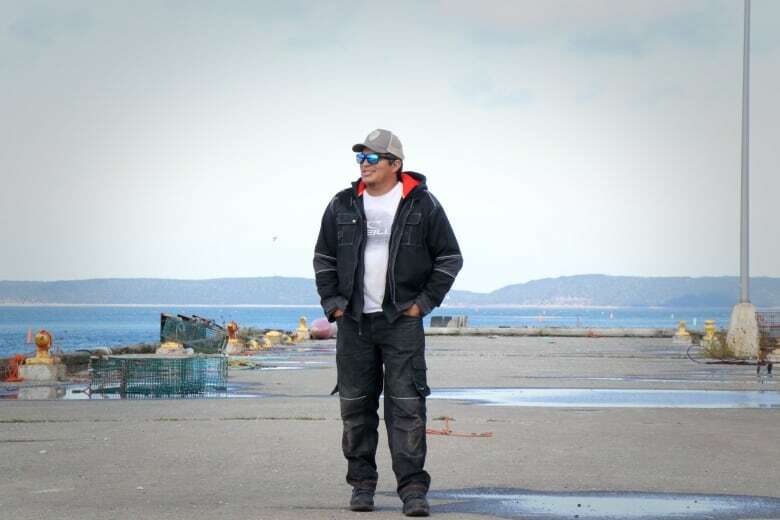 The work has also left some Mi'kmaq fishermen exasperated, of the view that the DFO stings and steady stream of trap inspections amount to a waste of money on a problem that's been blown out of proportion. "It's not about conservation, it's about protecting the majority vote," said Mike Stephens, a Millbrook First Nation councillor who fished for lobster this summer on the province's north shore, giving away his catch for free outside a smoke shop he owns on the reserve in central Nova Scotia. He said he has faced racist remarks at the boat launch he was using on the Northumberland Strait. Last month, he said he discovered 16 of the 18 traps he and a fellow councillor fish had been cut or otherwise vandalized. "DFO and the RCMP, they just don't have the resources to help us in any way or protect our access," he said. "Like I said, it's easier to deal with three pissed off Natives than it is 50, 60 commercial harvesters." Under DFO regulations, it's forbidden to buy, sell, barter or trade any lobster caught under an Indigenous food, social and ceremonial licence, what's known as the FSC fishery. 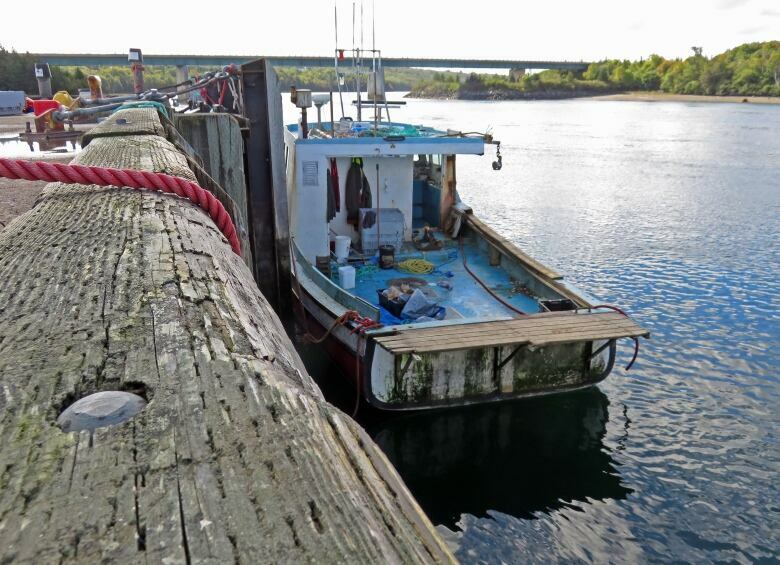 Commercial fishing groups in southwest Nova Scotia have emphasized they respect the First Nations right to the food fishery, one guaranteed under Sparrow, a landmark Supreme Court of Canada ruling in 1990. But they have argued large volumes of lobster intended for sale were being "poached" by Indigenous and non-Indigenous alike, hurting lobster stocks during the sensitive summer spawning months when commercial fishing is forbidden. The DFO enforcement work in southwest Nova Scotia has continued this summer and fall. More than 350 traps have been seized by fisheries officers in recent months for a range of violations such as untagged gear and illegal bait. A lobster facility was searched in August and 100 crates seized, although no charges have yet been laid. On a recent day in the community of Weymouth North, the DFO presence is clear. A Canadian Coast Guard ship looms out in St. Marys Bay as a small fishing boat with three Sipekne'katik band members on board and a catch of about 200 lobster roars toward a wharf that dog-legs out into the Sissiboo River. "They look like a warship and they're out there and they're basically trying to intimidate us," Ronnie Augustine, a fisherman from the First Nation north of Halifax, said of the DFO patrol. The fishermen at the wharf say they feel pinched. Pounds now fear storing lobster caught as part of the food fishery, and they must instead hide their catch in the water until it's time to take it home. They even have trouble buying bait. Augustine admits that last year he was selling some of his catch, but for just $3 a pound, less than half the commercial rate. Fuel, bait and gear aren't free, he said. He also echoes the arguments of other Mi'kmaq fishermen who say they are entitled to a "moderate livelihood," a right outlined by the 1999 Supreme Court of Canada Marshall decision but whose parameters are still being negotiated with DFO. "If there is a few bad apples, it's not like it's a multimillion-dollar business," he said of the black market. "It's not like this big huge thing is going on." It's a view that DFO doesn't disagree with. "It's not really our impression that we're getting through these numerous contacts with communities and commercial fishers that there's a huge black market or that there's some sort of Wild West scenario in the lobster fishery in that part of the country," Darren Goetze, the department's director general of conservation and protection, said in an interview. "Clearly, there are some people who are straying outside the lines, so to speak." He acknowledges some Indigenous fishermen feel unfairly scrutinized, but said that's not the case. 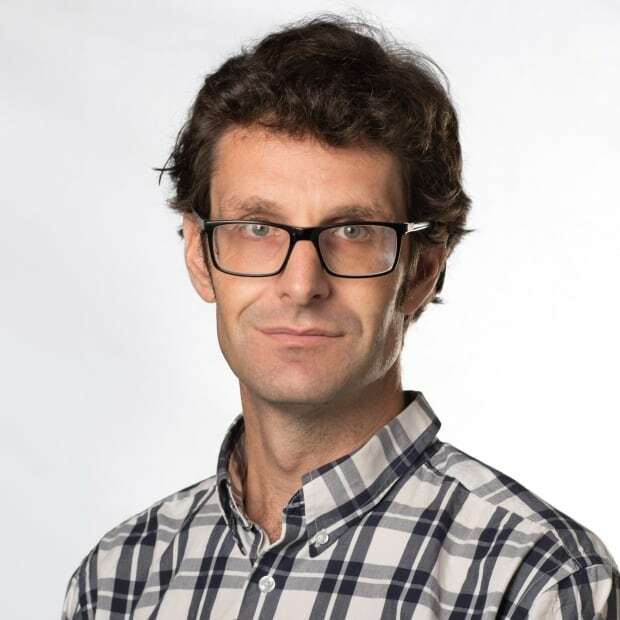 DFO has also used measures aside from enforcement to encourage compliance, he said, and unlike police forces the department has a dual role of helping First Nations access their "unambiguous right" to the fishery. He maintains no group is being targeted, but said every fishery should expect patrols and surveillance to ensure the rules are being followed. And that extends to buyers. 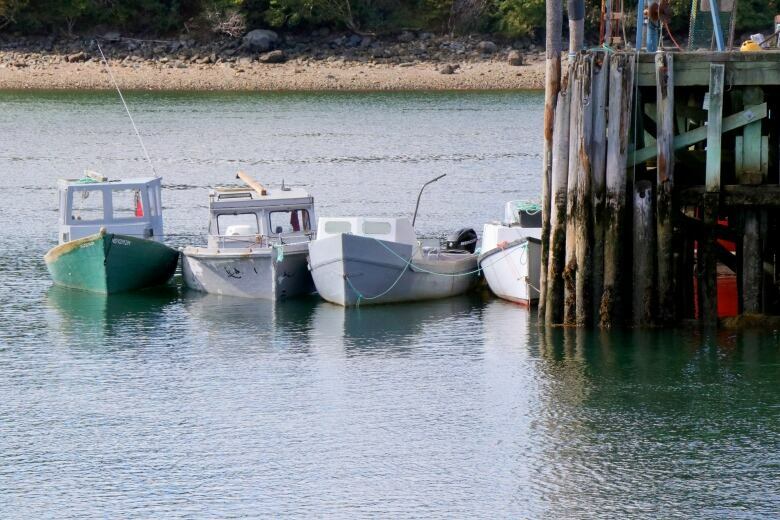 "For plant operators, for lobster processors in and around that area, everyone's aware that buying FSC lobster is illegal, and if they're engaged in the activity they may find themselves spending some quality time with my fisheries officers," he said. On paper, the First Nations food, social and ceremonial fishery in Lobster Fishing Area 34, a 21,000-square-kilometre zone that includes part of the Bay of Fundy and loops around the southern coast of Nova Scotia, is tiny. A maximum of 2,500 FSC traps are split between five bands, and Native Council of Nova Scotia members are also allowed one each. A pittance compared to the nearly 400,000 traps allowed during the height of the commercial season, which runs between the end of November and the end of May and in 2016-2017 landed nearly 23-million kilograms of lobster worth $355 million. But last September, a series of protests by commercial fishermen erupted over concerns DFO was not enforcing rules prohibiting the sale of FSC lobster. At one point, department officials braced for the prospect that fishermen might try to occupy some of its offices. DFO disputed there was any evidence that lobster stocks were being hurt. But officials internally acknowledged there was "significant tension" between Indigenous and non-Indigenous fishermen, according to emails released under access-to-information laws. That month, piles of lobster that had some undersized crustaceans in them, were found mysteriously dumped in the woods. A few weeks later two fishing vessels, one owned by a non-Indigenous fisherman, one owned by a Sipekne'katik band councillor, were lit on fire. An editorial in U.S.-based Seafoodnews.com warned that the Canadian government had "a crisis on its hands" involving a "large scale" black market that threatened to tarnish the industry's international standing as a sustainable fishery. It's during this furor that DFO officers fanned out to inspect fish buyers from Digby to Bridgewater, according to search warrant records. 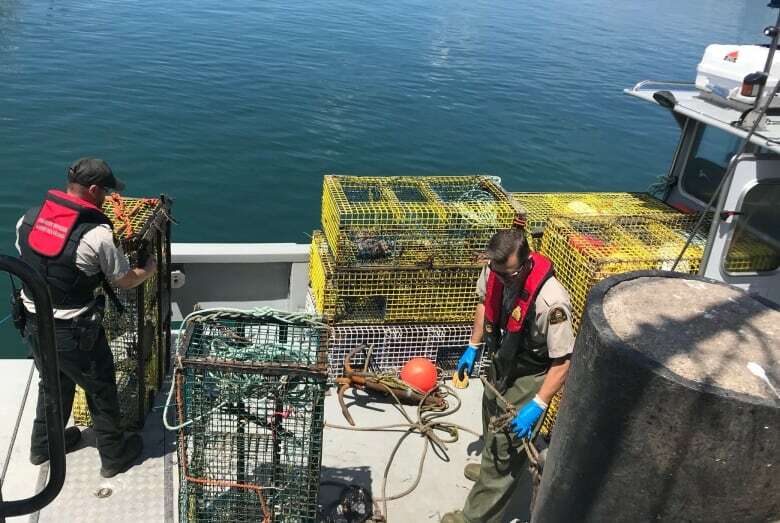 In all, they visited 81 sites over 10 days, copying all records related to lobster that was bought, sold, held, released or disposed of from June to September 2017. One of those on the list was Guang Da International, a plant in Belliveaus Cove that had been bought about eight months earlier by a Chinese businessman, Shen Ren Zheng, whose address is listed as a home in Mississauga, Ont. A plant manager told inspectors the pound held some lobster caught under FSC licences, but he said it was kept separate from commercial lobster. According to the search warrant documents, which include allegations that haven't been tested in court, records from the plant stated that over the course of 10 weeks Guang Da had held a total of 1,400 kilograms of lobster for a Sipekne'katik band member named Robert Syliboy. At around 3 a.m. on Oct. 13, 2017, less than half an hour after DFO officers had finished covertly inserting microchips into lobster off southwest Nova Scotia, a fishing vessel called the Mister Nick pulled away from the wharf in Weymouth North. Out in St. Marys Bay, a fisheries officer used stabilizing binoculars to watch, from a Canadian Coast Guard ship, as lobster traps were hauled up. When the Mister Nick returned a few hours later, 11 crates were brought on shore and then, according to court documents, driven by Syliboy down the road to the pound in Belliveaus Cove. Guang Da was also under surveillance, and three days later fisheries officers followed a trailer full of lobster from the pound all the way to a facility near the Halifax airport. When they inspected it, they allegedly found 15 microchipped lobsters inside. In all, $50,000 worth of lobster was seized, just hours before it was to be exported to China on a Korean Airlines flight. DFO officers searched Guang Da the same day, taking computers, thumb drives, paperwork and surveillance video. 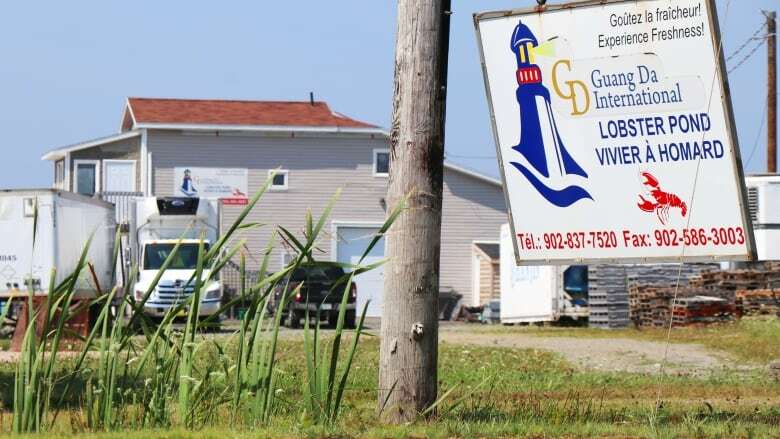 It took, however, until this summer for DFO to charge the company and its owner with one count of selling lobster caught with a licence that does not authorize sale. If convicted, the maximum fine is $100,000. The company is to appear in Digby provincial court on Nov. 1. Its lawyer, Andrew Nickerson, has declined comment on the case until he has reviewed disclosure. Robert Syliboy has not been charged in the case. He declined to comment for this story. In August, Guang Da was placed in receivership by the Royal Bank. It also owes $76,500 to another lobster dealer, Wedgeport Lobsters, according to a statement of claim filed in Nova Scotia Supreme Court. There is no consensus about the scale of illegal sales in the lobster fishery. Despite DFO assurances that it isn't widespread, there remain concerns that unscrupulous people are making "truckloads of money," as one observer put it. But there have been no protests this fall. And it wasn't on the agenda of last month's South West Lobster Forum, an annual gathering of fishermen and industry. The charge against Guang Da was welcomed this summer by one commercial fishermen's group. "Last summer, there were an incredible amount of lobsters poached in southwest Nova Scotia," Colin Sproul, vice-president of the Bay of Fundy Inshore Fishermen's Association, said in July. "They weren't First Nations people poaching these lobsters. They were just being poached by poachers under the guise of the FSC and sold. "It's wrong and it hurts coastal communities whether they're Indigenous or non-Indigenous." This summer, fishermen's groups and five First Nations began holding a series of informal meetings. There are no agendas or minutes. The discussions are frank and what is said remains under the "dome." "Famously, social media is not a great way to deal with complex issues," said Arthur Bull, who acts as a facilitator for the meetings. "That's, basically, how people were getting information. There's a lot of noise around these issues. And a lot of people were saying, 'Well, when do we get a chance to actually sit down and talk about this fishery and what's happening." There have been five meetings so far. Part of it is just sharing perspectives, Bull said, including that lobster caught as part of the FSC fishery is feeding band members "who are actually facing major food-security issues." There has been a commitment around the table, he said, to conservation and to "peace, I guess I would call it." "People being able to fish safely. The bands want that to happen. The fishermen's associations want that to happen."